Alphabet’s Waymo is teaming up with five companies to expand consumer access to its fleet of self-driving vehicles, the company announced on Wednesday. Google’s self-driving car arm will be partnering with Walmart, Autonation, Avis, DDR Corp, and Element Hotel. 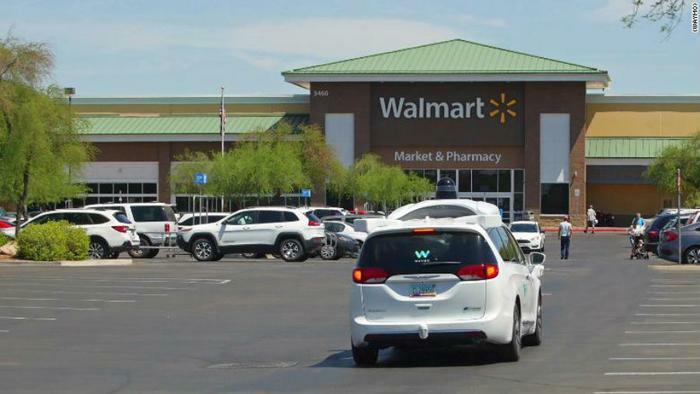 Waymo said that a pilot program with Walmart will pick up customers and drive them to and from stores to pick up their groceries. Customers in Phoenix who order groceries on Walmart.com will receive savings or deals on their orders, which will be put together at the store. "The purpose of all of this: to learn," Tom Ward, vice president of e-commerce operations at Walmart, said in a statement. "While giving customers a unique experience with amazing technology, we're learning how we can make Walmart online grocery pickup even more convenient." As part of its partnership with AutoNation, Waymo will offer rides to customers having vehicles serviced at AutoNation dealerships. At Avis, Waymo vehicles will drop off and pick up rental car customers at two locations in the Phoenix suburb of Chandler. Waymo will also offer its self-driving cars to customers who do business with DDR Corp. and Element Hotel. Waymo’s pilot program in Phoenix will kick off later this week, while the other ride offers will begin over the course of the next several weeks. News of Waymo’s new partnerships comes the same week that Amazon expanded the availability of its free two-hour grocery delivery service, Prime Now. Walmart made another effort to compete with Amazon when it acquired Jet.com in 2016. For the service, Jet uses Parcel -- a last-mile delivery service that Walmart bought last year at an undisclosed price -- to deliver groceries to consumers’ homes.